Murena radiator removal - hints and tips? 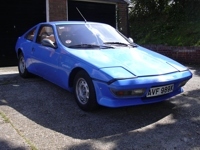 MatraSport Forum > Each model > Murena > Murena radiator removal - hints and tips? 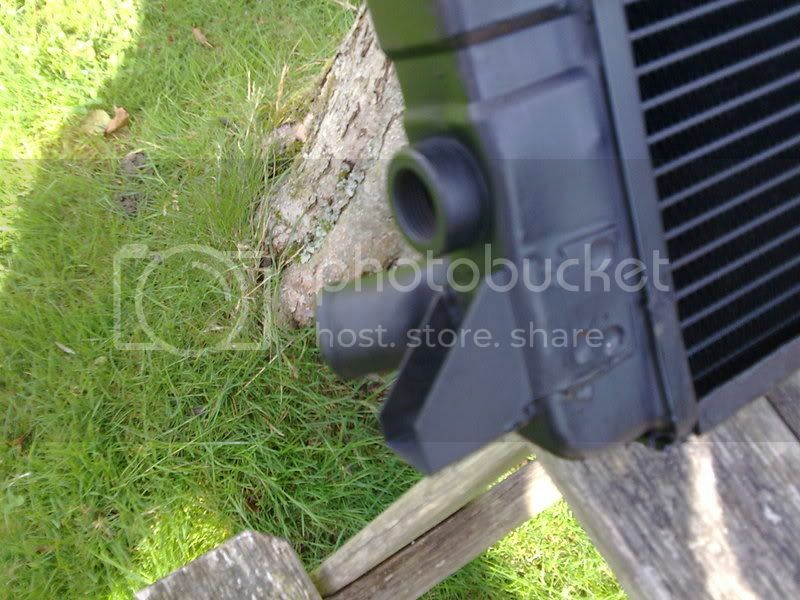 Re: Murena radiator removal - hints and tips? After replacing the rad, water pump and many new hoses the engine suddenly performed so much better unsuprisingly. I now need to watch the speed easily reaching 90mph on the motorway. However the new flow of water found a new exit. Through the heater, leaking onto the passenger carpet. Tempory solved by disconecting the heater and joining the hoses in the front bay. I have had conflicting advice to solve this. Either reconnect the heater and put in Rad Weld or similar. Or take out heater and take to a rad specialist to fix. Does a rad weld type product 'gunk up' the cooling loop? Bearing in mind I now have a nearly new system this would not be my prefered choice. However I have also been reliably advised that these products are fine, and indeed help with lubricating the water pump. I've always found that these products tend to clog up the radiator and heater matrices and don't provide a permanent repair. My advice would be don't risk blocking up your nice new radiator, bite the bullet and get it properly fixed before the winter sets in then put in a good concentration of decent antifreeze and change it every two years. You confirm my initial thoughts. Do you think a radiator refurb company could solve the leak? As far as I know, you can put in a radiator from a Ciroen Visa/C15 with som small adjustments for the vent. On matramagic page this was written, and I quote. 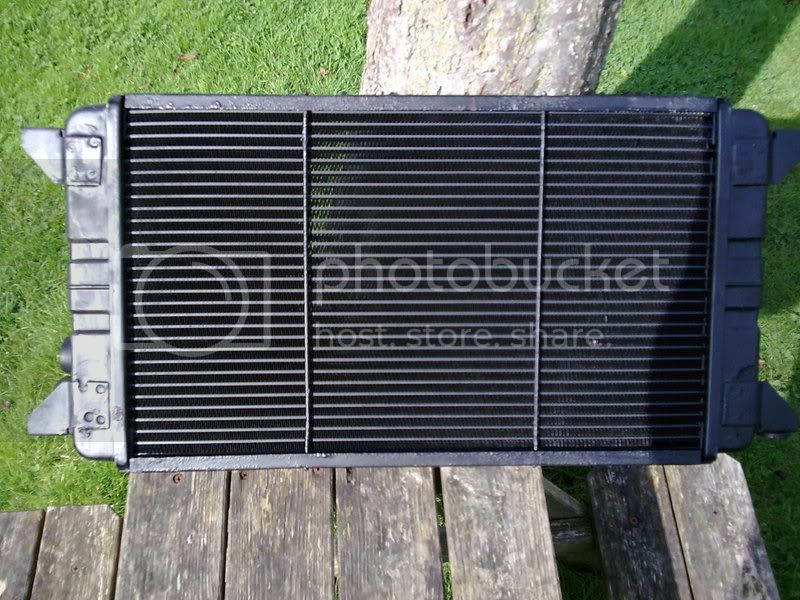 "The Murena radiator is similar to the Citroen Visa - except that its fitted upside down and has the core of from another car"
In the past moths I readed so many items, and in one of the items sombody fitted this radiator. Can't find it back, but he told he had to make adjustments to fit the ventilator. The holes to mount were different. Also the French forum has this in the alternative parts section. 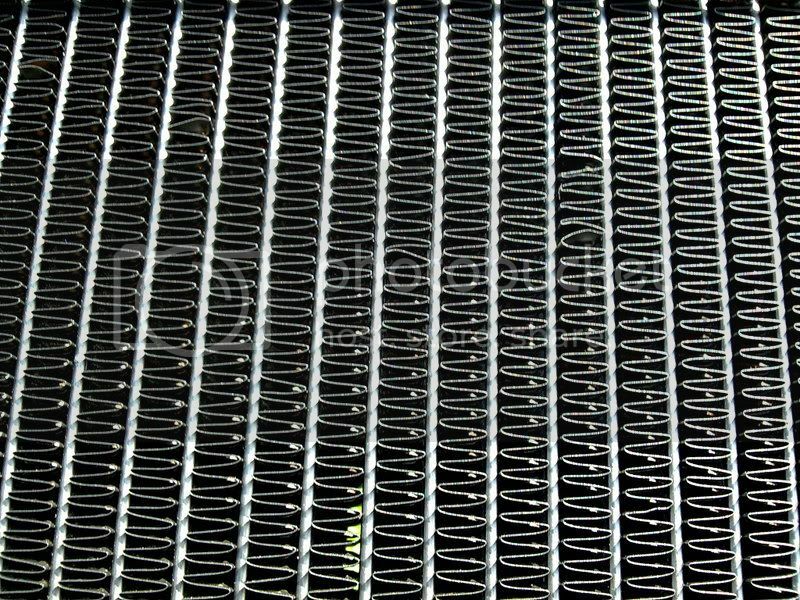 I also looked at pics of the C15\Visa radiator, and you need the petrol version, not the diesel one. Pffff, took some time to spit trough all my images, but this is a Murena original one. The fan is fitted different and see it upside down to compare. Maybe it is possible to mount the fan from a diesel one. It has 2 fans in a frame. Murena 2.2 Red 1982. Murena 1.6 black on places. 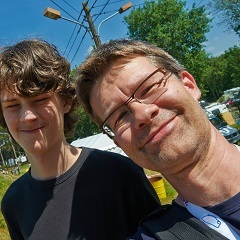 Hi Oetker, thanks for the photos! It's always interesting when people find parts from other cars that fit our belowed Murena's. Fitting a fan is a simple problem, but what I'm concerned about is the ventilation from the top of the radiator, that goes back to the header tank. In a front engined car like the Visa, there doens't have to be such a hose, as the exit from the thermostat is at level or higher than the thermostat housing (which has a small vent hose exit back to the top of the tank). For me this is still all theoratical, because have not worked yet on the system. I studied the item as far info was found, because I want to be prepaired if the system fail. For instance I know that there are immitation metal radiators for the Visa around €100. The radiator is upside down and if there is a outlet for overpressure, (NB:think you meaned that), it is on the wrong side. If the radiar is metal this can't be a problem to put one on. It is about the same size, so the level wil be ok, if mounted right. Murena and Multipla - I like it 3 abreast! It all sounds a lot of bother, when a new core can be fitted for £110. Titus, if it is the heater matrix that has sprung a leak then yes, I guess a radiator specialist should be able to refurb it. Interesting to hear that the car went better after that work. I doubt it was the rad. Water pump? Whether it's any good I don't know, but if you like I can ship it to the UK at your cost. Yes, it definately was the water pump. It failed after giving me plenty of notice and was eventually spraying water out in an arch around the engine bay. Laziness should not have been an option but you live and learn. I guess my membership to the recovery company will be in doubt when renewing next year as this is the third time this year I have needed a flat bed recovery. Twice for the Murena including my engine mount bracket failier and once for my work car. Thank you very much Valdemar for the offer. I may take you up on that as and when. Well worth the annual membership! I recognize the sight of a red Murena on a low-loader! Well I got my radiator back and its a work of art. New bespoke core, new fins, all brackets removed and rewelded and the whole thing painted black. All for £110. He also does heater matrices, fuel tanks etc. If anyone needs anything fixed, give me a shout! That sounds like an excellent deal! I'd really, really like to see photos! Question: which side of the rad should the fan be on? Towards the front of the car, or poking into the front boot? Pretty sure it should be on the back but on my way out to the garage to check!